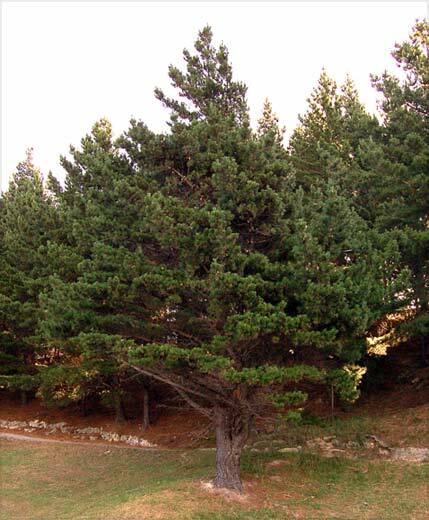 Radiata pine is a tall tree, growing 30–60 metres in height, with a trunk of up to 1 metre in diameter. In sheltered conditions it has a straight trunk and conical form, but it can become contorted in windswept sites. It has large, spreading branches and slender dark-green needle leaves arranged in bunches of three.